Sudan’s President Omar Hassan al-Bashir declared a state of emergency on Friday in an attempt to end a 10-week uprising that has threatened to bring an end to his 30 years in power. Mr Bashir’s declaration was widely anticipated and protesters had already taken to the streets before his speech on Friday, and continued as he was speaking. 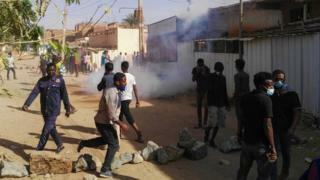 The opposition Umma National party and the protest organisers, the Sudanese Professionals’ Association, have both rejected the new measures and called for more protests to force Mr Bashir to step down. He dissolved the government after just over five months in office and sacked his long-time ally – the only remaining member of the original Revolutionary Command Council that carried out the coup which brought him to power in 1989 – Gen Bakri Hasan Salih as vice-president. Mr Bashir did try to distance himself from the NCP by announcing that he would “stand at an equal distance from all the political forces”, and most of the governors he sacked were from the ruling party. Some Sudan observers have likened this moment to the infamous split between Mr Bashir and his Islamist “godfather”, the late Hassan al-Turabi in 1999. Back then, Mr Bashir dissolved parliament, suspended the constitution and split Sudan’s Islamists between the National Congress and the Popular Congress parties. 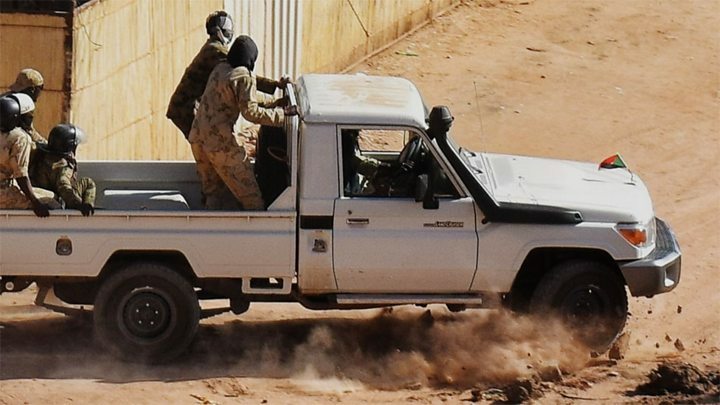 Since the state of emergency was declared, hundreds of pick-up trucks with mounted machine guns have been deployed onto Khartoum’s streets, along with armoured personnel carriers. The pick-up trucks are known locally as Thatchers, after the former British prime minister – a reference to their agility and toughness.